As we’ve discussed many times, grammar rules change over time. We’ve certainly toned down the use of commas in modern writing, mostly because our sentences tend to be short and thus don’t need them. But more and more I’m seeing . . . well, I’m not seeing a comma we really need to keep using, and that’s the vocative comma (i.e., the comma we put between a name and the rest of the sentence). Boys get in the car. Stop squealing you fangirl, and listen up. If you could possibly get some dear Santa baby. The whole point of grammar is that the audience shouldn’t have to guess at what you’re trying to say. The missing vocative commas in these examples deeply change the meaning of the sentences, and I highly doubt the writers meant that “Boys get in the car” like “Bees make hives,” or that someone is squealing “you fangirl,” or that someone is going to get some dear Santa baby. When we call people by name or identify them with a label, that action is separate from the action of the rest of the sentence, and separating parts of sentences is exactly what commas are for. Boys, get in the car. Stop squealing, you fangirl, and listen up. 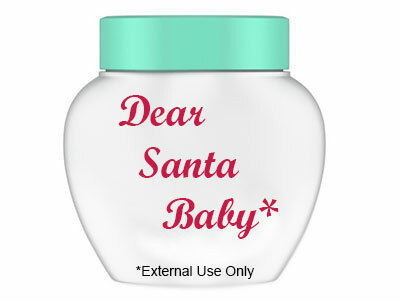 If you could possibly get some, dear Santa baby. Only now do we have sentences that mean something. The speaker is telling the “boys” to do an action; someone is calling another person a fangirl; and “dear Santa baby” is an endearment, not some weird new adult product they sell in the back. I want to know if you’re being honest mom or just saying what I want to hear. What’s an “honest mom,” exactly? “Mom” (which should be capitalized) needs to be cordoned off. I want to know if you’re being honest, Mom, or just saying what I want to hear. Which brings me to the origin of the title of this blog post, which was a comment on Tumblr: “This is important people.” You see, I read that, and my editor brain automatically thought, “No, it should be, ‘These are important people.’” And then my non-editor brain wanted to know where the people were in the original post because it was about some new rules. And then I realized what the commenter was trying to say. And then I had to log off Tumblr for a while so I could go scream in my handbag. So please, be sure to give your readers a break and use a comma to indicate that part of the sentence is an instruction or specification and the other part is someone’s name or title because, well, it’s important, people!